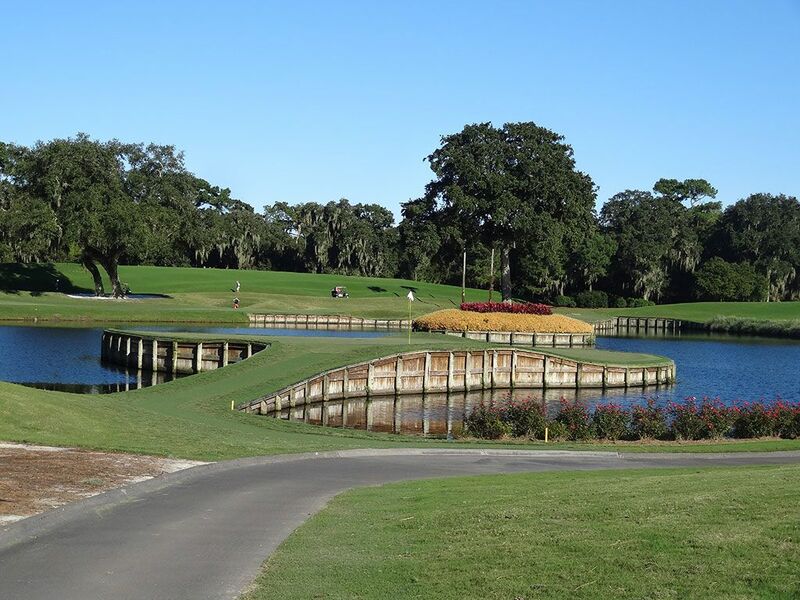 Course Website: Official Website - Visit TPC Sawgrass (Stadium Players)'s official website by clicking on the link provided. 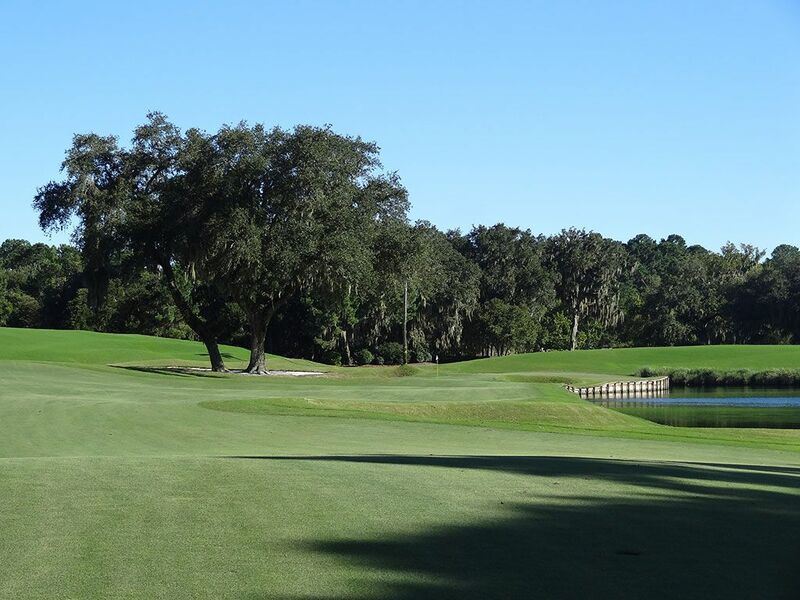 Accolades: Ranked 3rd in Florida on Golf Course Gurus' Best in State list. What to Expect: The Stadium course is simply one of the best known courses in the world. 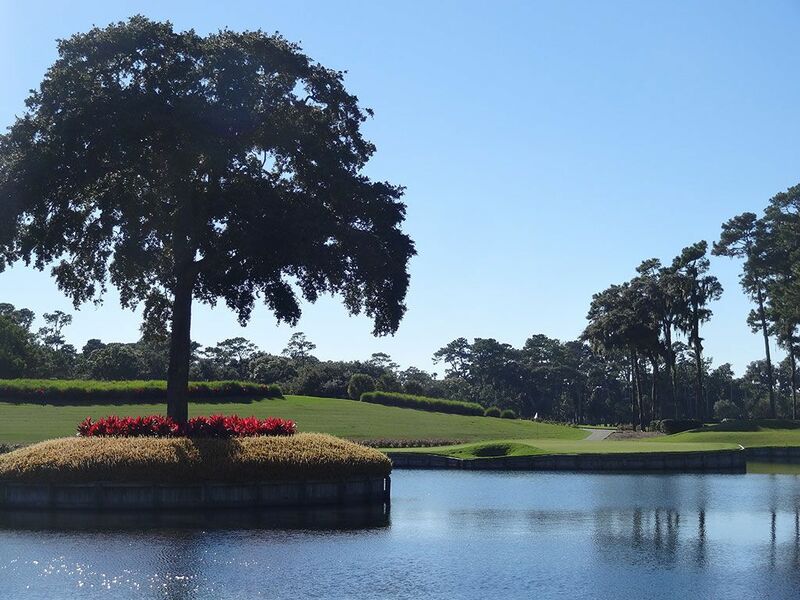 From being featured on Tiger Woods PGA Tour golf game, to hosting the Player's Championship each year, to the famous island green 17th hole, few courses have gained as much hype or exposure as TPC Sawgrass. 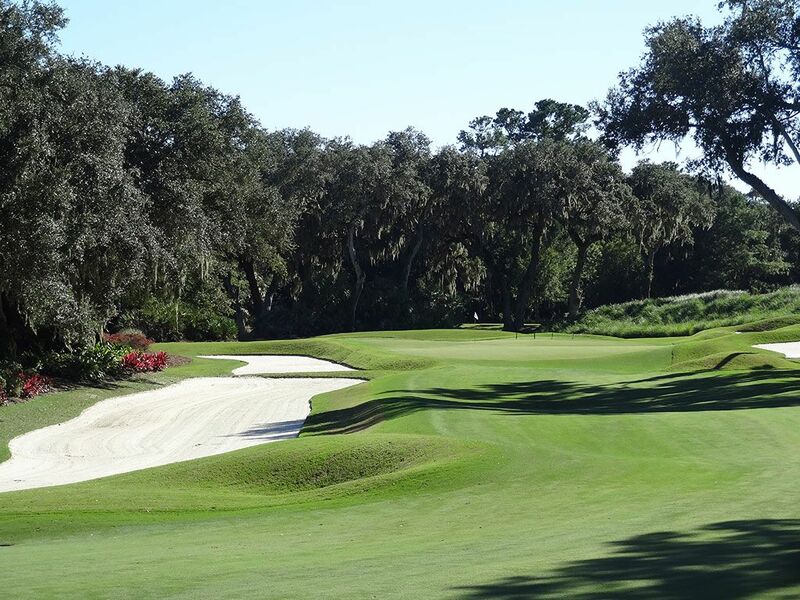 The Pete and Alice Dye design was the first of its kind to be built with the concept of spectator seating being a priority while hosting the PGA Tour. The course instantly drew criticism from players, something Pete seems to relish, as they contended with the demanding shot making required to avoid the numerous hazards found throughout the routing. Dye has tweaked with TPC Sawgrass maybe as much as any of his creations (other than perhaps Crooked Stick) and today it widely garners praise from pros and the public alike. As the site of the PGA Tour's headquarters and the first attempt for the PGA Tour to own a course, a ton of money has been invested into the property to create one of the most exceptional public golf facilities in America. 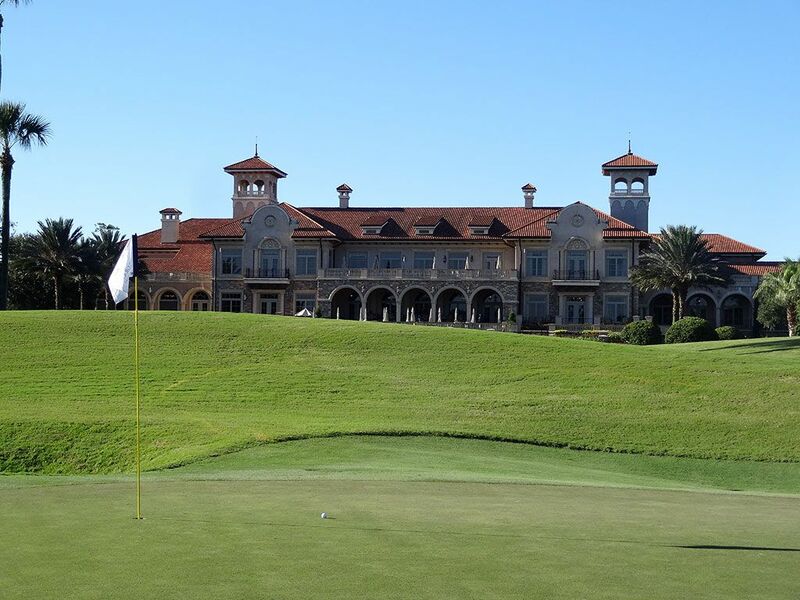 The palatial clubhouse is one of the most stunning backdrops you'll ever see as you come up the 18th hole and stands as the most iconic building in Ponte Vedra Beach. Driving to the clubhouse features a series of facial sketches mounted to poles of players that have won the Players Championship at TPC Sawgrass including the year(s) they were victorious. Additional historic pieces are found throughout the clubhouse including photos of course construction, Pete Dye's initial construction bid estimate (less than $1.4 million), and the $1 cashiers check the PGA Tour paid for the 415 acres of swamp ground that was purchased to put the course on. Groups are given a forecaddie if they want to ride the cart path only facility or a walking caddy if they want to enjoy the course like the pros do. The tournament tees are rarely, if ever, set out as players are asked to play from the closer tees with the one exception being on the 17th hole where they can play from the pro's box. The SubAir drainage system keeps the fairways and greens firm and able to handle large buckets of rain though the rough doesn't enjoy the same luxury. The course is relatively flat but boasts an iconic back nine with the island green 17th hole being one of the most famous par 3s in all of golf. 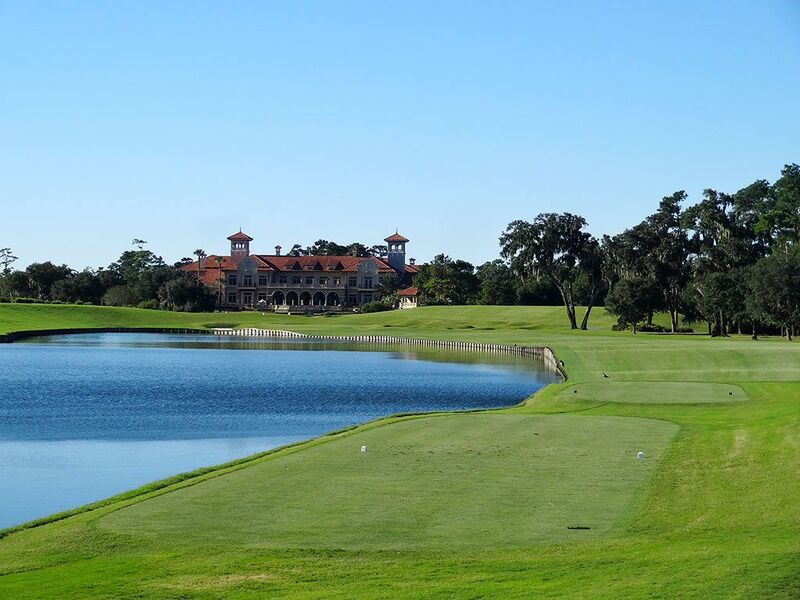 With the World Golf Hall of Fame located just 30 minutes south in St. Augustine as an extra perk, going to TPC Sawgrass becomes a bucket list item for almost any golfer. 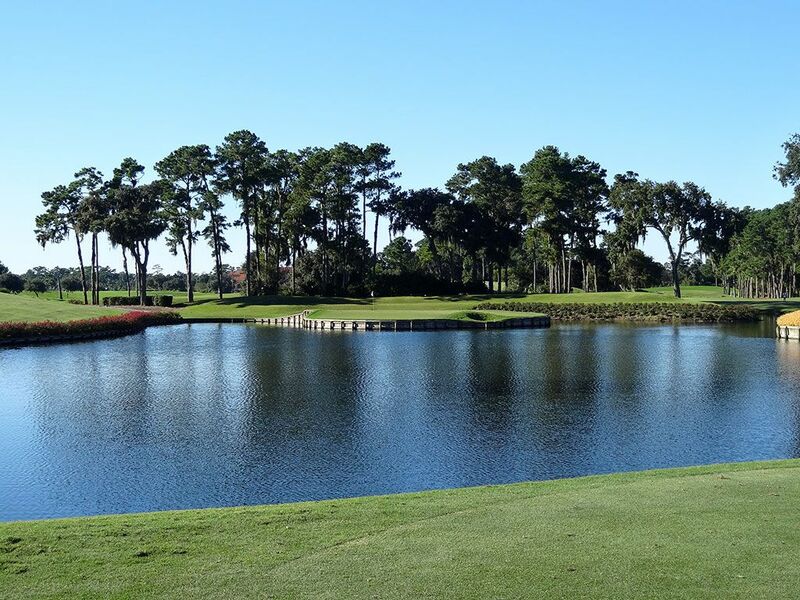 Signature Hole: 17th Hole – 137 Yard Par 3 – The 17th hole at TPC Sawgrass' famed Stadium course is simply one of the most recognizable holes in the world of golf. The brainchild of Pete Dye's wife Alice, TPC's island green has become an icon in the game and the most photographed hole on the east coast. Even from the tips, this hole is a reachable challenge for almost any golfer which adds to the allure of a hole where players can compare themselves to the PGA pros. Also adding to the intrigue of the hole is the do-or-die nature of it. There is no where to layup, no bailout, and absolute joy or utter misery with the result of your tee shot. The 17th is easily the most anticipated hole to play on the course and envelops everything that a signature hole embodies. How much power does this short par three have? 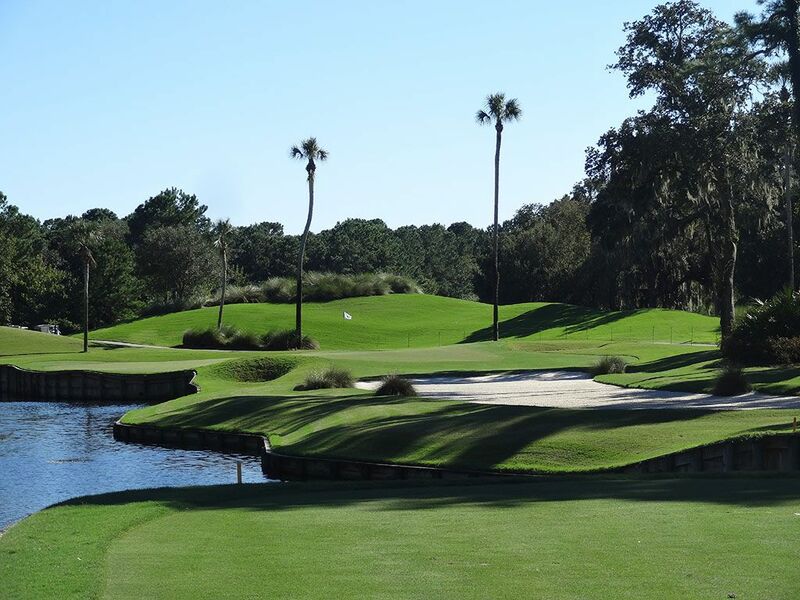 Enough that the first question out of your buddy's mouth after playing TPC Sawgrass will almost always be, "So, did you hit the island green?" 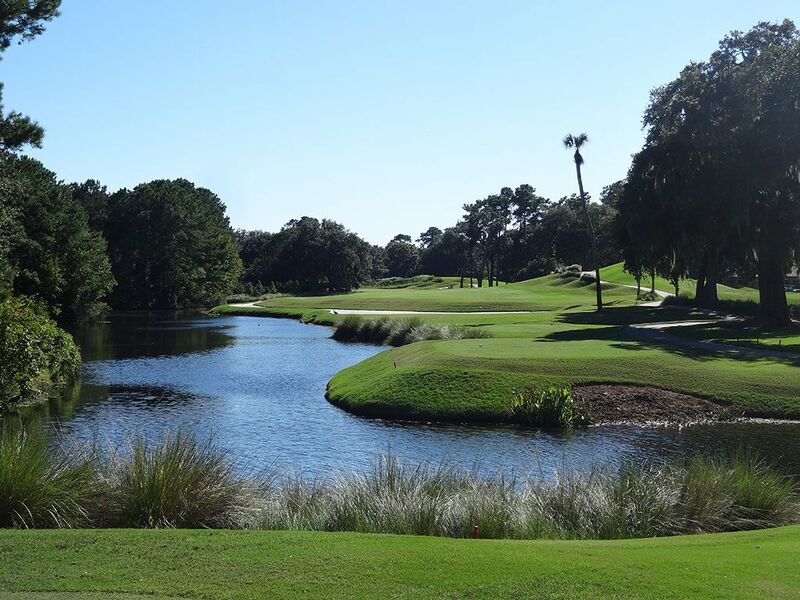 Best Par 3: 13th Hole – 181 Yards – Providing one of the better photo opportunities on the course, the 13th hole is an attractive one-shotter that features water up the entire left side of the hole and players to a green supported by a series of railroad ties. The three-tiered green can play havoc with your putter while the pin placement can make you pucker on the tee. The front right side of the green is the high point of the putting surface while the lower left side of the green slopes back to the water and will lay claim to its fair share of drowning victims. The back left pin is for suckers while anything up the right side provides the greatest amount of safety. Best Par 4: 18th Hole – 462 Yards – This hole was more stunning in person then I ever thought it would be. After getting done with the signature island green 17th, players walk past the trees and behold a stunning sight of fairway, water, and the palatial clubhouse towering in the background. Visually it is very impressive; as a finishing hole it is equally worthy of praise. Water runs the entire length of the left side of the hole while trees are found up the right. The hole turns to the left the whole way which invites players to challenge the water in an effort to shorten the approach shot into the green, but the carry is often longer than players judge which results in an unforgiving splash. Mounding is found up the right side and a bunker sits behind the green catching ball coming in hot to the putting surface. Without a doubt, it is one of the finest finishing holes in golf. Best Par 5: 11th Hole – 558 Yards – A great scoring opportunity and one of the best holes on the course, the 11th hole does what every great par five should; deliver options. After the tee shot players can play safely up the contiguous fairway on the right side of the hole or challenge the water and bunker complexes protecting the alternate fairway up the left side. From the right, players can go too far up the fairway and contend with an overhanging oak tree that can deflect balls from reaching their intended destination. Heading up the left side creates a much better angle into the green but requires a more precise second shot to find safety whether you are laying up or going for the green. Water and a bunker line the entire right side of the alternate fairway which offers impressive visuals as well as potential challenges to deal with. When you walk off the back of the green be sure to take a look back at what you just conquered since the best view of the hole is from that angle. Birdie Time: 16th Hole – 523 Yard Par 5 – All of the par 5s at Sawgrass should be viewed as scoring opportunities and none more so than the 16th. Well reachable in two, a tee shot that draws down the left side of the fairway will shorten the approach shot considerably. 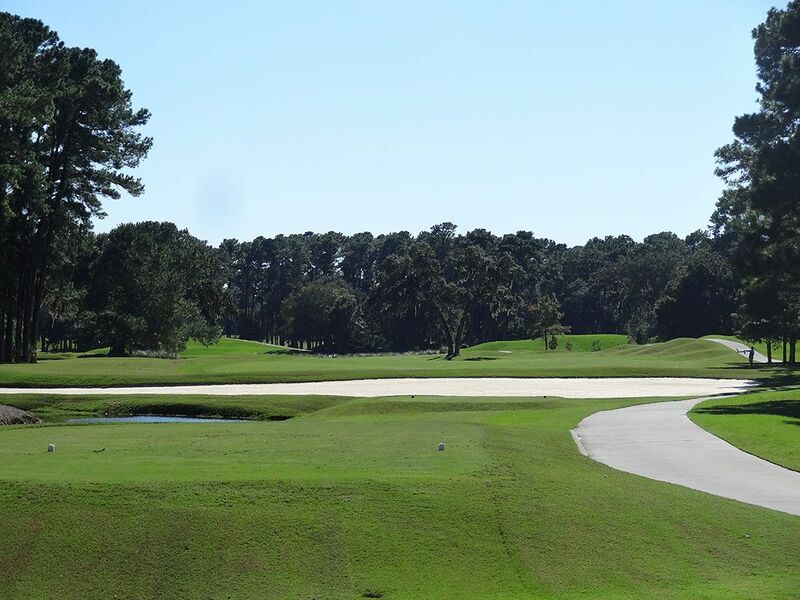 However, playing up the right side will take the large oak tree out of play that protects the left side of the hole 50 yards or so from the green. Going up the right however will make the water a bigger factor to contend with since it runs from the landing area all the way up past the green on the right. The large oak tree short of the green, which also stands in a bunker, can create awkward playing angles from the left side of the hole and will play havoc with players struggling to hit high iron shots. 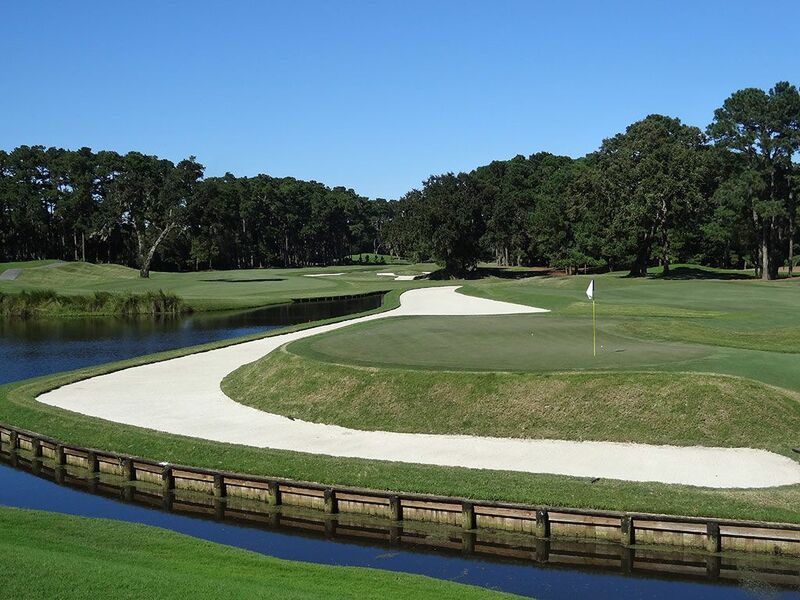 Despite the challenges offered on the 16th hole, it is the most reachable of the par 5s at TPC Sawgrass and a great chance to throw a birdie on your card before taking on the all-world final two holes. 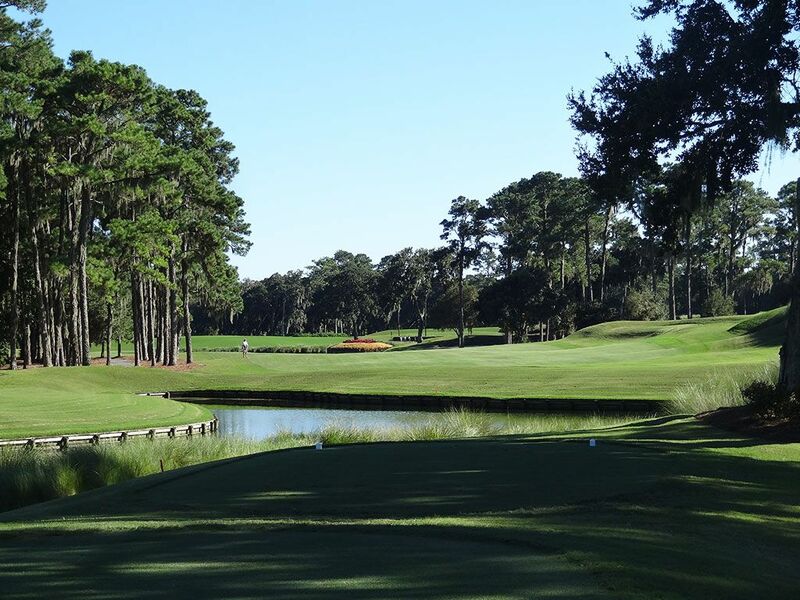 Bogey Beware: 14th Hole – 481 Yard Par 4 – This hole came to the forefront of controversy during the 2013 Players Championship when Johnny Miller questioned where Tiger Woods took a drop after hitting it into the water on the left. The drop was deemed acceptable and Tiger took a double bogey on a hole that traditionally sees more doubles than any other during the Players. Water runs up the left of the landing area with a narrow bunker sitting as a buffer between the fairway and the hazard. Up the right side is a series of mounds which can create awkward lies resulting in low percentage shots into the green. The hole sees less greens in regulation than any other due to the demanding nature of the tee shot and also creates numerous three-putts because of the unusual large size and undulation of the putting surface. Taking bogey here will likely not be the worst score in your foursome.